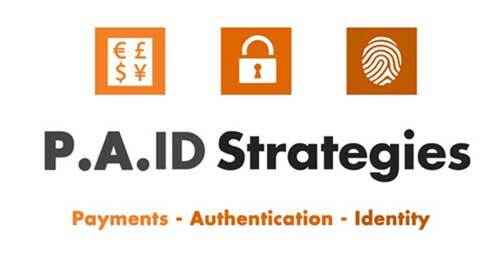 P.A.ID Strategies takes responsibility to provide guidance, intelligence and insight to help its clients make informed decisions about partnerships, route to market, technology implementations, market entry, product and service launches and strategic development. We take this responsibility very seriously and with a commitment to serve your requirements to the best of our ability. We endeavour to work closely with our clients and partners to deliver a high standard of service based upon our years of experience and industry leading knowledge of the companies and technologies involved in the payment, authentication, identity and security sectors. Trust is not just what we do, it is who we are. Our primary focus is on Payments, Authentication, Identity (P.A.ID) and the Security and Connectivity of people, devices, objects and transactions in an increasingly digitised and connected world. P.A.ID Strategies builds upon more than 15 years experience assessing companies, their products and strategies across commercial, enterprise, financial, government, industrial and retail sectors. P.A.ID Strategies is different in that it pulls together these different strands, understanding how they depend upon, effect and relate to each other; not just in terms of devices, technology and vendors but for service delivery, user acceptance and go to market strategy. What are my current opportunities? How should I best address the market? Which partners should I work with? Which new markets should I address in the future? Where should I focus and invest? What is my best strategy for success?